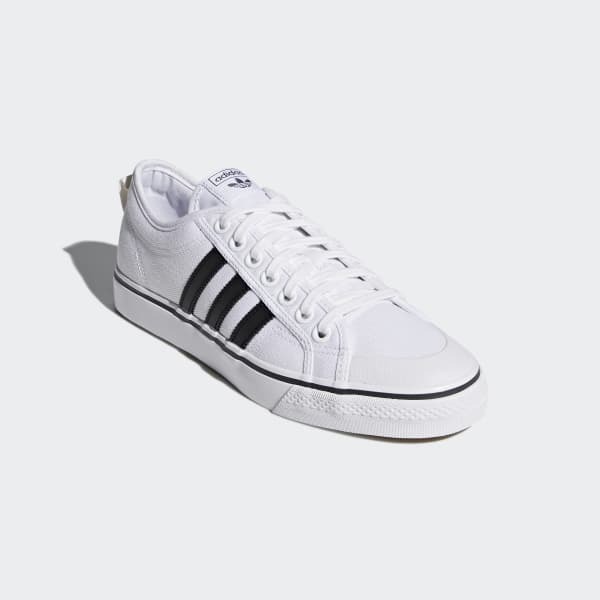 adidas Originals brings back a classic with these Nizza Low shoes. 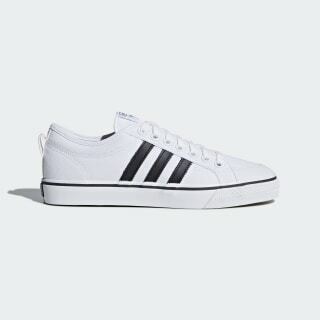 Originally conceived as basketball trainers, their clean looks and casual design made them a style hit on the streets. Like the original, these shoes are made of lightweight, breathable canvas and have a rubber toe bumper and vulcanised outsole. Off-white sidewalls detailed with contrast foxing tape put the finishing touches on this vintage style.